Industrial Waste Bin sizes: when you run a small business, or one that is not so small – ensuring that the core services such as water, electricity and garbage collection in industrial waste bins is vital for your business success and peace of mind. 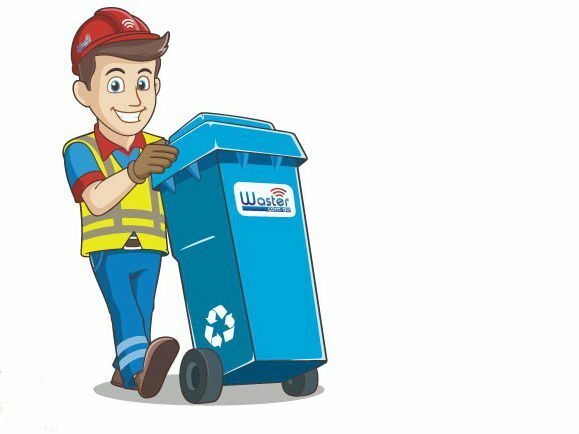 Waster offers a real alternative for small and medium Australian businesses – as you can arrange your garbage and recycling needs easily online – and have confidence that you will not be hit by any hidden costs or charges. We provide all industrial waste bin sizes from 240 litre general waste bins i.e. a standard plastic large wheely bin – up to a 4.5m general waste bin – this is commonly referred to as a front lift bin. Rear lift bins sizes – 120 litre bin, 240 litre bin, 660 litre bin, 1100 litre bin. Front lift bin sizes – 1.5m cubed bin, 3.0m cubed bin, 4.5m cubed bin. These larger bins are often referred to as dumpsters. For larger industrial waste bin sizes – you are looking at skip bin hire. Running a small business in 2018 is harder than ever – see this blog on the topic published by Amex. You have also probably heard about the impact that increases in energy prices is having on Australian businesses. Waster has recently redesigned our website to make booking and checking on your waste services (such as general waste disposal) easier than ever. With a more responsive design – it is simple to check your required services and book a collection – whether it is for general waste bin hire or cardboard recycling. The first step is to access our online waste shop and choose the bin size required: for example – see a 240 general waste bin – for a cafe in Sydney collected once a week. When you select your required options – you will see the appropriate pricing per collection – in this instance – in October 2018 – a weekly pickup of a 240 litre general waste bin at a cafe in Sydney will cost $21.00+GST per collection. There is no rental charge or other fee. Check out pricing for bin hire for events here. Delivery timeline from booking is usually 7-10 days – but we can often get bins delivered quicker than this dependent on region etc. We know that when you open a new business – not having bins and grease trap cleaning organised can be stressful – so we try our best to work to your timelines. See our blog on recycle cardboard processes. See our rubbish remover blog for challenges that small businesses can face and more info on industrial waste bin sizes and services. Waster always focuses on the latest tech to enhance our customer service – see our tips and many others on the latest systems at Telco Solutions.